Use a filter to return films with a GenreID of 17 - i.e. 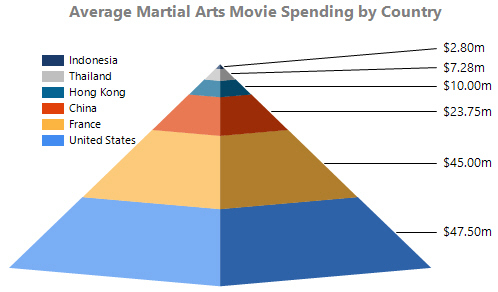 martial arts films. Insert a chart into the report. This example uses a 3D Pyramid chart but you're welcome to try a different type. 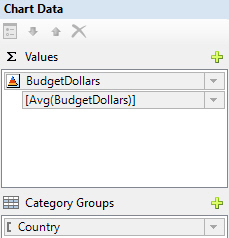 You'll need to change the aggregate function to Avg after you've assigned the BudgetDollars field to the chart. Apply sorting to the Country field in the Category Groups section so that the chart is sorted in descending order of average budget. Feel free to experiment with formatting options.